Read about the latest developments at Abakidz! To stay connected sign-up here! 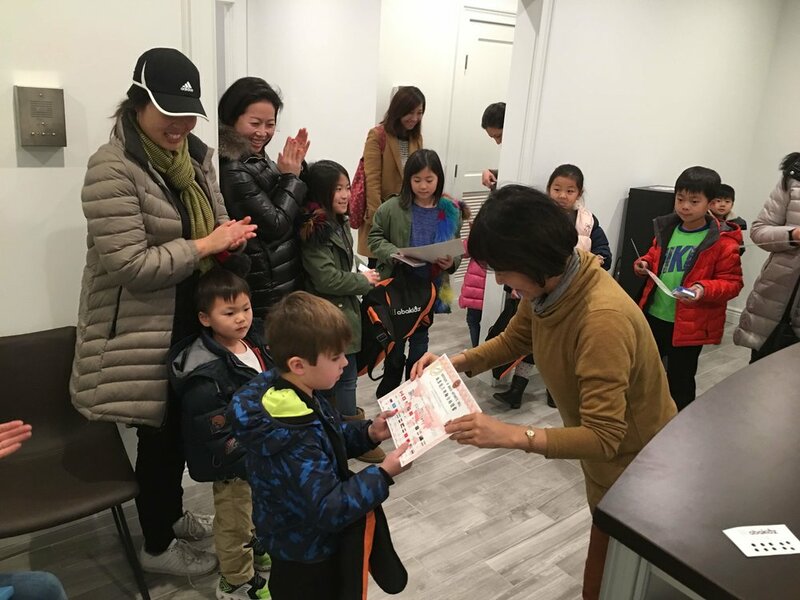 Abakidz participated in the Lunar New Year celebration with the New Jersey Bergen Chinese School! We had fun playing mental math games and sharing about Abakidz to the parents and children. To read more from our February Newsletter, click here. Master Lee appeared as a guest speaker on the segment “Power Interview” on the Korean Broadcasting Network (KBN). Master Lee shared about how the abacus improves not only math scores but focus, concentration, and memory. She also talked about her experience in Korea from achieving the highest degree in the abacus to sharing her knowledge and skills to students who struggle with concentration and math. *Note: Interview is in Korean. To read more from our January Newsletter, click here. Master Lee appeared as a guest speaker on the Korean radio station AM1660 sharing her experience learning the abacus, the benefits of learning the abacus, and how it affects not only mathematics but confidence and perseverance overall. Listen to the full interview here . The Abakidz students received their official certificates from the Level Testing in November. The next level testing will be held February/March 2019. Here are some photos of our students with their certificates and Master Lee at our Closter branch. To read more from our December Newsletter, click here. Master Lee auditioned for America's Got Talent in NYC (Nov. 3, 2018) and amazed the judges with her incredible mental math talent! We'll find out the results in March 2019 so stay tuned! To read more from our November Newsletter, click here. 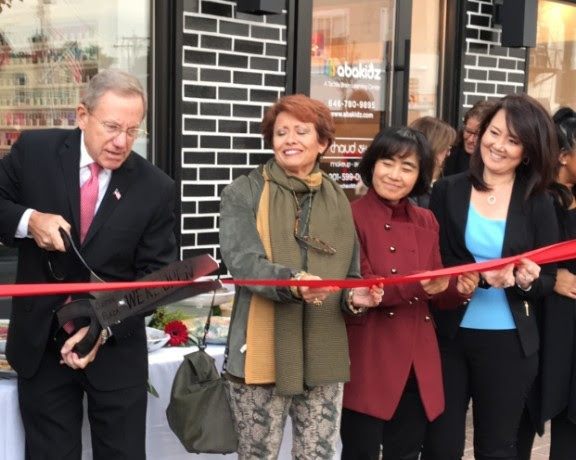 Mayor of Closter, John Glidden visits our Abakidz Closter Center during our Ribbon Cutting Ceremony (October 26, 2018) at our Closter branch. To read more from our October/November Newsletter, click here. Master Jeonghee Lee competed in the Mental Calculations World Cup 2018 which was held in Wolfsburg, Germany from September 28-30, 2018. Once again, Master Lee set new world records and was crowned the World Champion in numerous categories. To read more from our September Newsletter, click here.